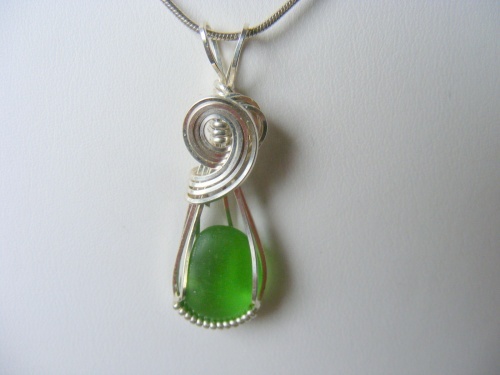 This piece of authentic kelly green seaglass is sculpted in a sterling silver curl and perfect for those of you who dont like big jewelry. Soft yet striking, this piece measures 1 1/2" from top of bail to bottom of seaglass and 1/2" wide. Comes with a sterling silver snake chain.